I have a habit of not purchasing cajun seasoning and just replacing recipes with Old Bay…and it always turns out so good I keep not purchasing it. Perhaps one day. 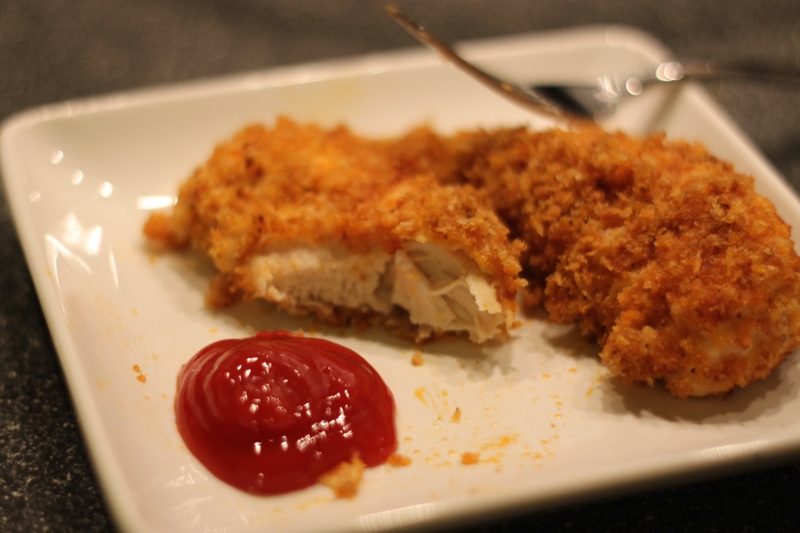 I adapted Damn Delicious’ Oven-Fried Chicken recipe. 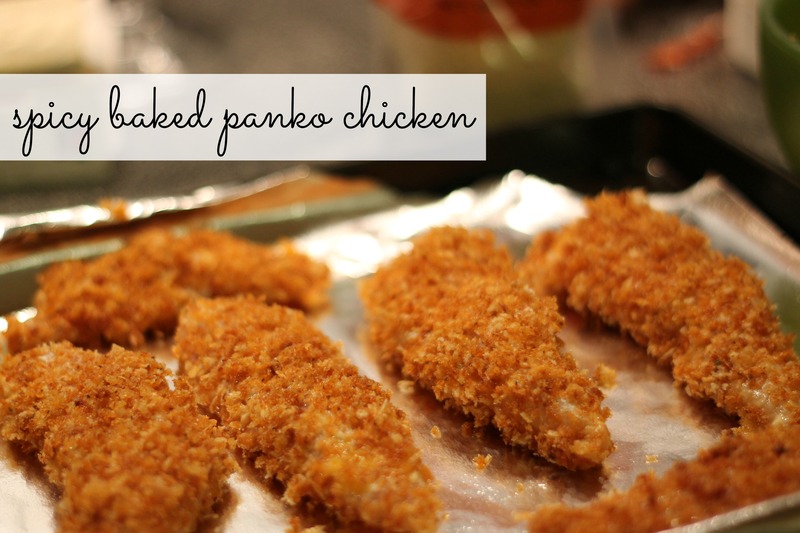 I really love panko chicken but this is best served immediately after baking so it doesn’t get soggy. If you have leftovers (like we did) you’ll want to heat it in the oven to crisp it up a bit. 2) In a small bowl, combine flour and salt + pepper to taste. In another small bowl whisk egg, milk, buffalo sauce. In another wide bowl (or pie plate) combine panko, Old Bay Seasoning, paprika, garlic salt, vegetable oil. 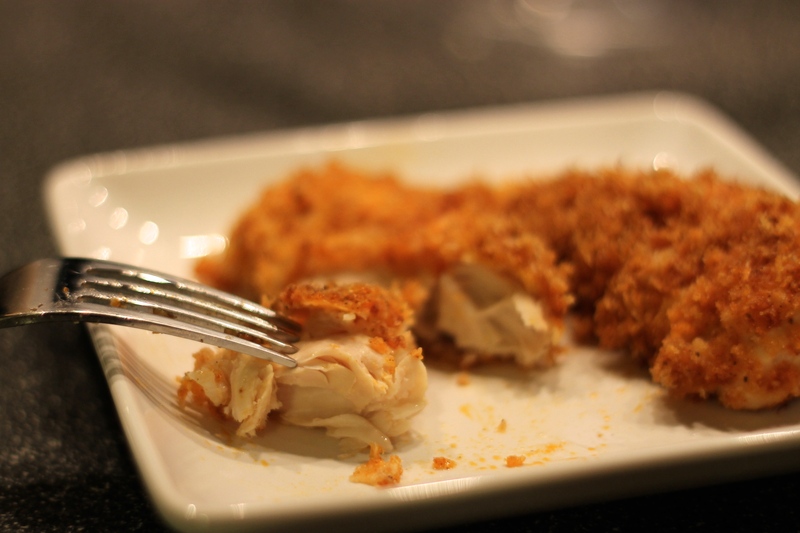 3) Dredge tenders in each of the bowls – flour, egg mixture and then panko crumbs. Make sure to fully coat the tenders. 4) Place coated tenders onto foil lined baking sheet and cook until internal temperature is 165 Fahrenheit, this took my tenders 30 minutes. Categories: Good Eats | Tags: old bay seasoning, panko chicken, spicy chicken | Permalink.